Seattle-based guitarist,composer, bandleader and educatorGreg Ruby specializes in jazz music from the first half of the 20thcentury. Described as “Seattle’s premier hot guitarist,” by Earshot Jazz Magazine, his most recent record, Syncopated Classicwas named 2017 NW Recording of the Year. Greg plays at swing dances, concert halls and festivals including the French Quarter Festival, Lindy Focus, DjangoFestand the NW Balboa Festival. 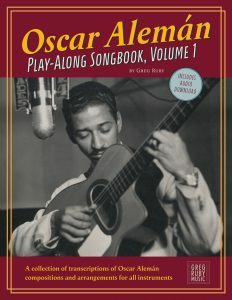 Greg’s most recent band, the Greg Ruby 6performs the compositions and arrangements of swing guitar legend Oscar Alemán. Greg leads The Greg Ruby Quartet, a Hot Club jazz group dedicated to all-original compositions; collaborates with New York and New Orleans musicians in The Rhythm Runners, a Prohibition-era dance band; and plays Valse musette and European café jazz with the Bric-a-brac Trio. Greg is a former member of the perennial Hot Club ensembles; Pearl Django and Hot Club Sandwich, and has performed with Lindy Hop favorites; Michael Gamble and the Rhythm Serenaders, Gordon Au and the Grand Street Stompers, The Jen Hodge All-Stars, and The Jonathan Doyle Twintette. Greg’s compositions have been heard on radio, television and documentaries including NBC’s Parks and Recreation and Freakanomics. His 2010 CD, Look Both Ways, features all original compositions and reached #1 on the Roots Music Review jazz chart. As a respected music instructor, he teaches at schools, camps and clinics and has published the Pearl Django Play-Along Book Vol.1, Frank D. Waldron: Seattle’s Syncopated Classic and will soon be releasing the Oscar Alemán Play-Along Songbook Vol. 1. HIs project “Syncopated Classic,” unearthed, restored and recorded the lost compositions from 1924 by the eminent Seattle jazz icon Frank D. Waldron. Greg holds a Bachelor of Music degree from Cornish College of the Arts, Seattle, WA.